We specialise in offering a wide range of commercial and strata cleaning services tailored to meet your specific requirements. We specialise in offering a wide range of commercial cleaning services tailored to meet your specific requirements. Whether you are a business, strata, warehouse, school, daycare, hospital, fitness centre, mall or a retail store in the Sydney CBD and metropolitan areas, you can seek our assistance for cleaning and maintaining your property. We carry out one off, daily, weekly or fortnightly services. We are available on call 24 hours a day, 7 days a week. So, what kind of professional cleaning service are you looking for? At Pharo Cleaning Services we are concerned with offering you high quality and comprehensive commercial cleaning solutions. You can thus rely on our highly trained staff to give your working environment a thorough cleaning. Ken Passmore and his crew at Pharo Cleaing are amazing. They helped me over a crisis. I have a home based Travel Agency - which is busy. We have downsized our house, since the kids are now married, leaving just my wife and myself. My wife was away taking a 3 week tour and with clients coming in and out - the house was literally a mess. Our very elderly cat was incontinent and you can guess what happened.Ken's team arrived - carpets cleaned, house and office vacuumed, windows washed and left sparkling, cobwebs and spiders removed. Nothing damaged and all items I requested to be cleaned checked off against a list. I could not have done it all myself as the business takes precedence. Thank you Pharo, from the bottom of my heart. Barry Poole - Forestville. 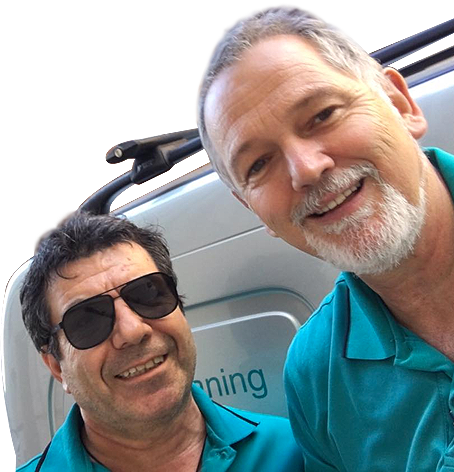 I am writing this Testimonial to acknowledge the Service that Pharo Cleaning Services provides to our Three Buildings I also confirm the High Standard of work from every aspect of the wide variety of Services they provide. Our Company has been in Business for over 125 Years! Pharo have been our leading Cleaning Contractors for over 30 Years! Tim Pharo and his team are attentive to detail and always prompt to accommodate any additional work that may arise, Tim and his Operation Managers are on call and very dependable. I am happy to discuss the services they provide to our Buildings in person if you would like to contact me directly on 0419 015 702. Without hesitation I recommend Pharo Cleaning. Pharo Cleaning Services were commissioned on the 7th August 2008, to clean and maintain our site which consists of four buildings containing 142 commercial suites, numerous common areas, three car parks, podiums etc. and gardens. They have also secured additional cleaning work from various occupants. The above requires access to all areas 24 hours a day 7 days a week. Our security system is extensive, due to the size of the site and design of the buildings, and to date we do not have any recorded instances of theft or security breaches attributable to them. To date they have been reliable, trustworthy and always willing to do work beyond their contractual obligations which is a rare trait seldom found in contractors. Pharo has serviced C3 Church in the area of facility cleaning for several years now, and we have found them to be most reliable and trustworthy. They have 24 hour access to our site and facilities, and we have no record of any incidences of theft or security breaches form any of their staff.